It’s too late when I notice my pot of duck stew boiling over. In those split seconds between Bama’s warning and the time it takes for me to put down the camera, the damage has already been done. Quick as a flash, Pearly Kee rushes over to turn down the heat. By now the excess liquid is bubbling and steaming on the hob, with a minor cascade dripping down the drawers and pooling on the floor tiles. “Too much water,” she says. The embarrassment must be evident on my face, because Pearly is telling me not to worry while she wipes down the mess. 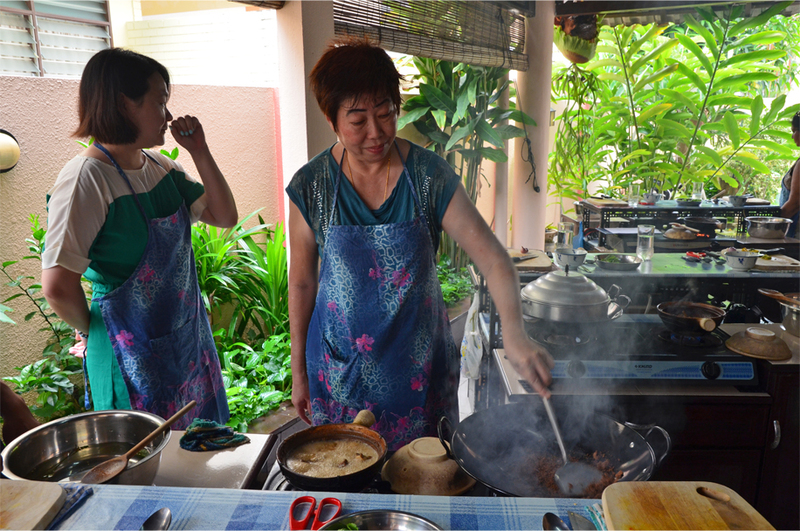 On our last day in Penang, Bama and I spend several hours at a Nyonya cooking class in Pearly’s home. 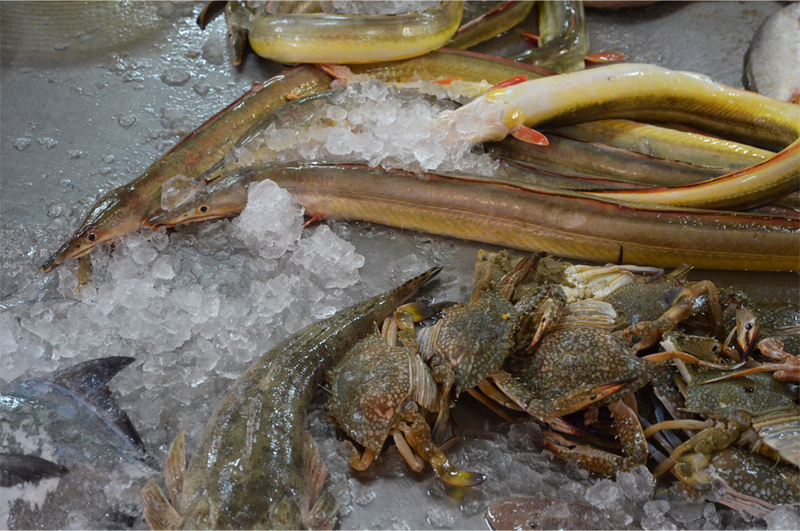 Both of us had tasted Nyonya food in Singapore and Malacca, but to learn three recipes under the guidance of a Penang chef – a fifth-generation Nyonya, no less – would round out our experience of three trading ports where Nyonya cuisine took root. 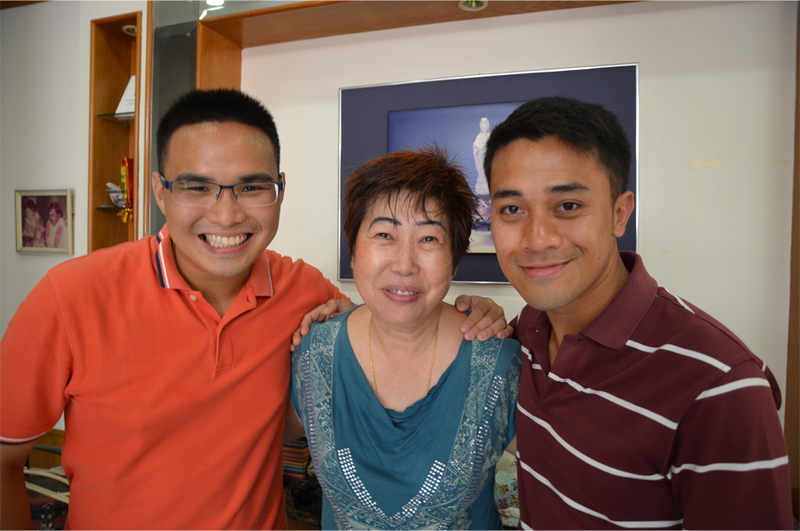 But first, you might ask, who are the Nyonya? The name itself is a clue. Nyonya is derived from the Malay for “Mrs.”, although some believe that it has distant origins in the Portuguese word for “lady”, senhora. The Nyonya refer to the women of an ethnically mixed community, and the Baba, men. Together they form the Baba Nyonya or Peranakans, descended from marriages between Chinese merchants and indigenous Malay or Javanese women. And it is this heritage which makes Nyonya cuisine so special. Centuries before fusion food became fashionable, the Nyonyas were already blending ancient cooking methods from China with the spices of the Malay, Indian and Indonesian kitchens. 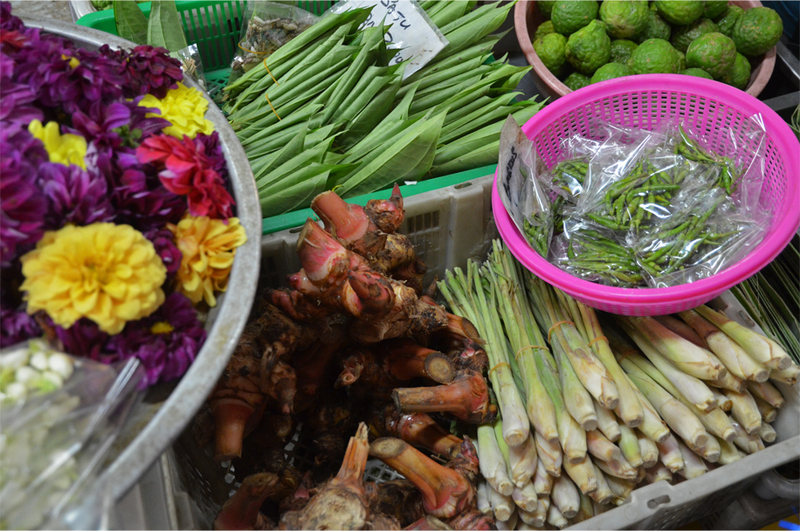 In Penang, it is even infused with discernible influences from nearby Thailand. Pearly is quick to point out that eating right is a form of medicine. “The food we eat should heal us,” she says. We learn that drinking a cup of burdock tea each day strengthens the bones. Roots (rhizomes) are rich in Vitamin B complex – before cooking, they should be washed thoroughly and not peeled, for the most nutrients lie just under the skin. There are plenty of other tidbits: fish head is eaten for its collagen, and I soon realise that I have been calling one vegetable by the wrong name all this time. “What is the difference between a gourd and a melon?” Pearly asks. 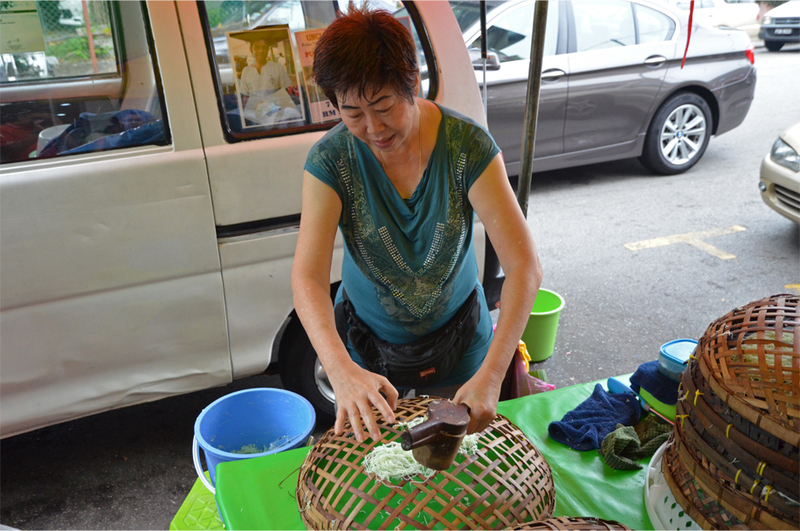 At Pulau Tikus market, most things are still made the traditional way. 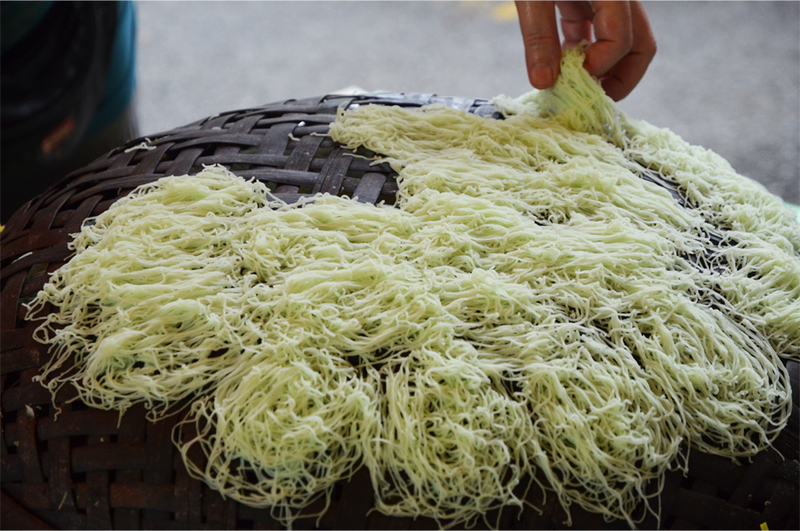 We see duck eggs packed in a thick layer of soil, the next stage after preservation in horse urine; a machine to shred coconut flesh; and still another for pressing coconut cream. Pearly demonstrates how the delicate Tamil treat putu mayung is made, grinding vermicelli strands of aromatic rice flour out of a wooden mould. They are steamed and then topped with shredded coconut and brown sugar, before being folded in half and eaten with the hands. It isn’t long before Bama and I are whisked to the family home by Chandra, Pearly’s husband. In the front garden we indulge in the heady fragrance of turmeric and galangal leaves. It is also an introduction to slightly less pleasant aromas, including daun tai ayam, literally ‘chicken poo leaf’, and a ripe nona fruit, which smells like a wet sock. 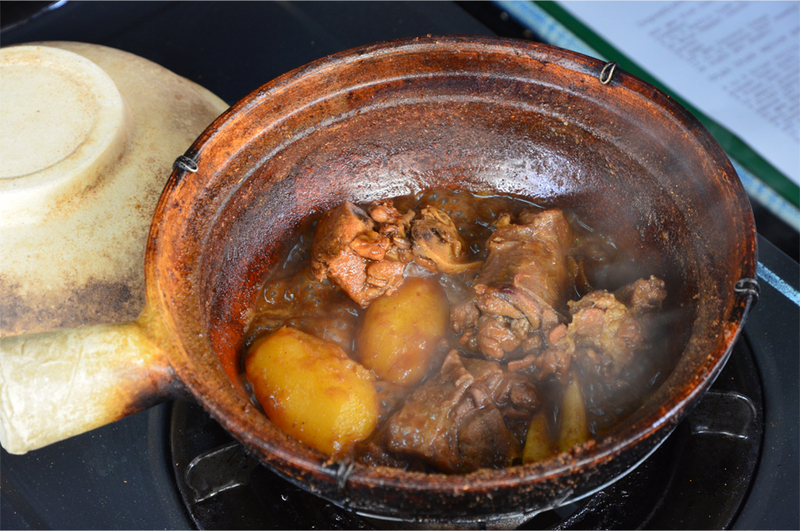 Once at our work stations, we begin with Hong Bak or ‘classy meat’, a choice of pork belly, chicken or duck, stewed with ground nutmeg and coriander powder, white pepper, kencur (sand ginger), garlic, shallots, bean paste and potatoes. Bama and I have chosen to use duck for this class; Pearly later reveals it is the best choice, with pork a close second. I struggle to multitask between the roles of cooking student and photographer as Pearly’s tips come in thick and fast. 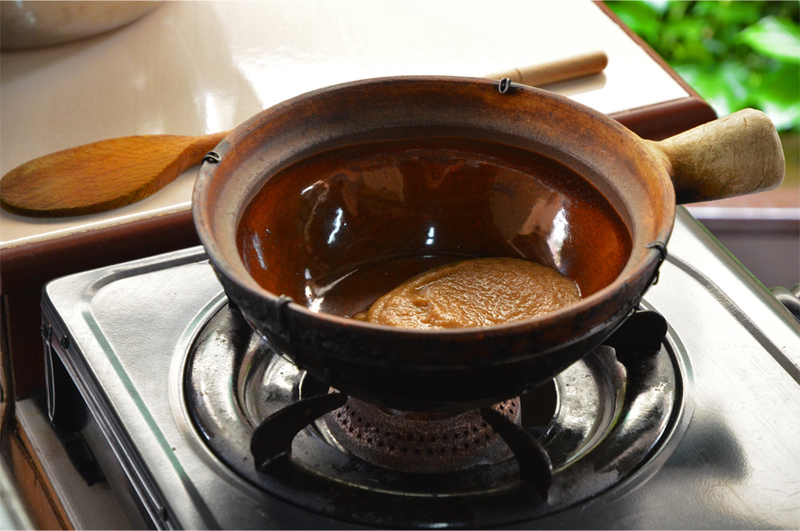 Once in the pot, the spice paste needs enough cooking oil to give it a shine. The meat must be placed bone side down to conduct heat, and we watch as Pearly scrapes the sides of the pot for every remnant of spice paste. “Every little bit is flavour,” she says, “don’t be afraid to use them. They only become bitter when they are dry.” Pearly also tells us to pay attention to the time, for the pot must be refilled with water every 45 minutes or so. 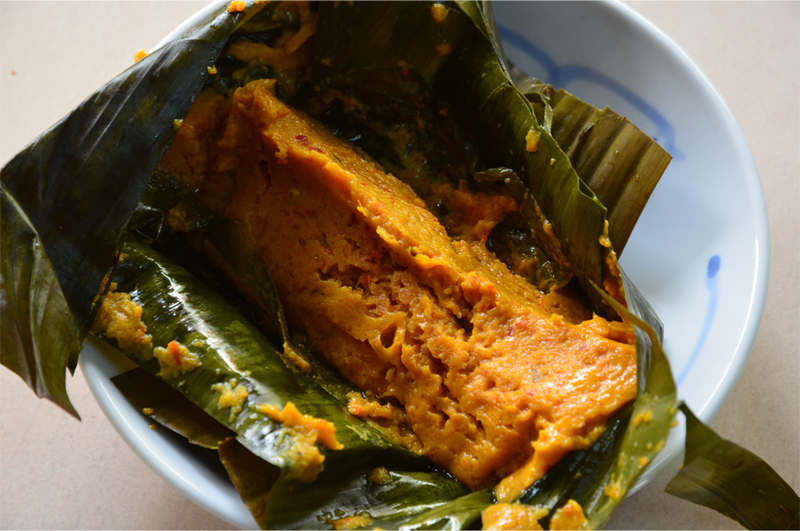 While the stew simmers on low heat, we prepare Otak-otak, fish parcels steamed in banana leaf. Otak-otak derives its complex flavour from a lengthy list of ingredients: garlic, shallot, galangal, turmeric, lemongrass, kaffir lime leaves, coconut cream and chilli. Making Otak-otak is a labour-intensive process, from chopping each ingredient, to scalding banana leaves and wrapping the fish and spice paste in a bundle, all the while making sure that the banana leaf does not unfurl and spill its contents. The final recipe on our menu is Kerabu Kay, which is the most exquisite chicken salad I have ever tasted. It is layered with finely sliced black fungus, giving a gentle crunch; aromatic mint leaves; the sweet-sour tang of calamansi lime juice, with the chopped limes thrown in for good measure; alongside shallots, pickled Shanghai cabbage, torch ginger, and julienne strips of steamed chicken. As if all that weren’t enough, Kerabu Kay also has sambal belachan, a perfect marriage of toasted shrimp paste with the potent heat of fresh chilli. 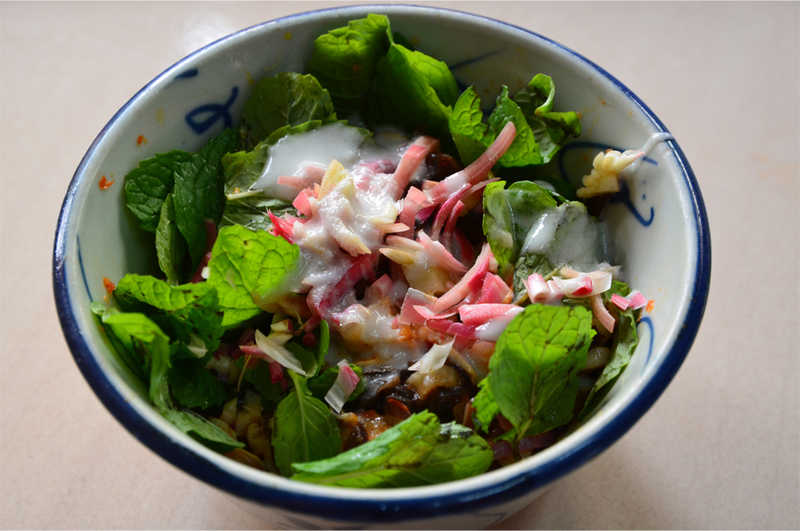 Over lunch, served with a refreshing glass of nutmeg juice, we learn that Kerabu Kay is traditionally eaten at New Year’s. Hong Bak is also reserved for celebrations, and I am surprised when Pearly tells us she doesn’t teach it unless there is a special request. So is Hong Bak the most difficult Nyonya dish in her repertoire? Absolutely, though I’m not sure I could recreate any of those recipes in my own kitchen! If it looks so nice it must taste pretty good. 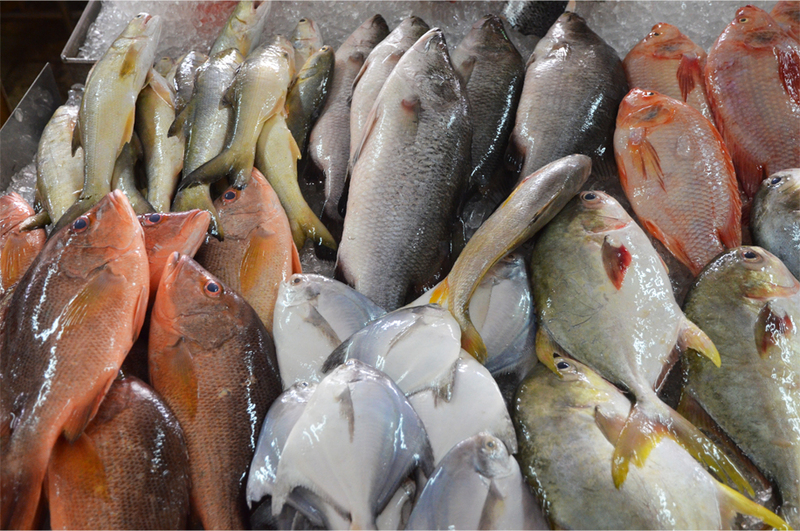 I love the picture of the varieties of fish. What are they called? Great to read about bitter gourd; it is a vegetable I really like: boiled, fried or curried. Ah, sadly I’m not familiar with all those kinds of fish. Curried bitter gourd sounds delicious… I hope I will get to try it when I come to India! All three dishes were fabulous! Pearly was always there to make sure nothing went wrong. wow such a wonderful thing to do. the classy stew looks amazing! The stew requires real patience, but the long wait was worth it! I loved how it had the flavour of nutmeg and coriander powder. I’ve just known that kencur can be poisonous if we eat them too much. Here in Indonesia, singers are advised to eat kencur to maintain their voice. And my grandma sometimes cooked urap daun kencur, and it’s one of my favorite dishes. Nice post James, aku jadi lapaaaaarrrr. Maybe it is just a Chinese belief that so many things are said to be poisonous. Even in Hong Kong, people believe that duck and shrimp have poison so those with open wounds and infections shouldn’t eat them. I would love to try urap daun kencur! Such a special experience – good for you for seeking it out! Thanks! 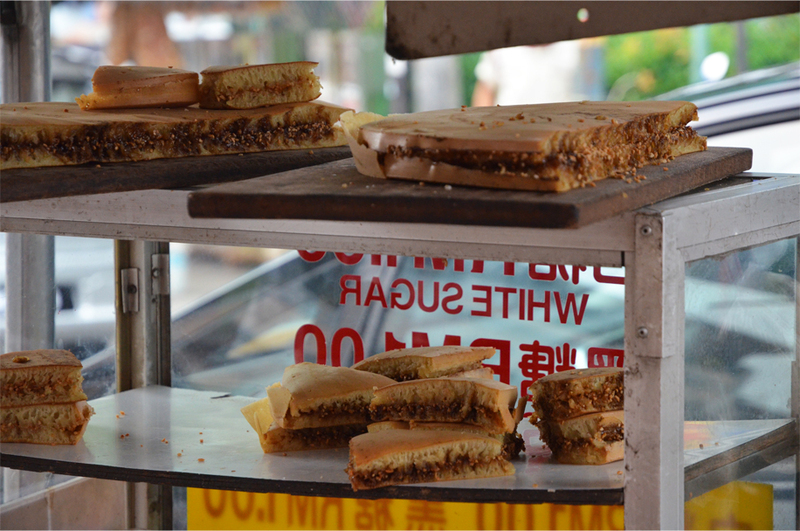 It was the activity I was most looking forward to in Penang, and it didn’t disappoint! Wow, thanks for sharing all this fascinating food information – the difference between a gourd and a melon? Who knew! The blue flower also was interesting, as I do a lot of dyeing with plants. 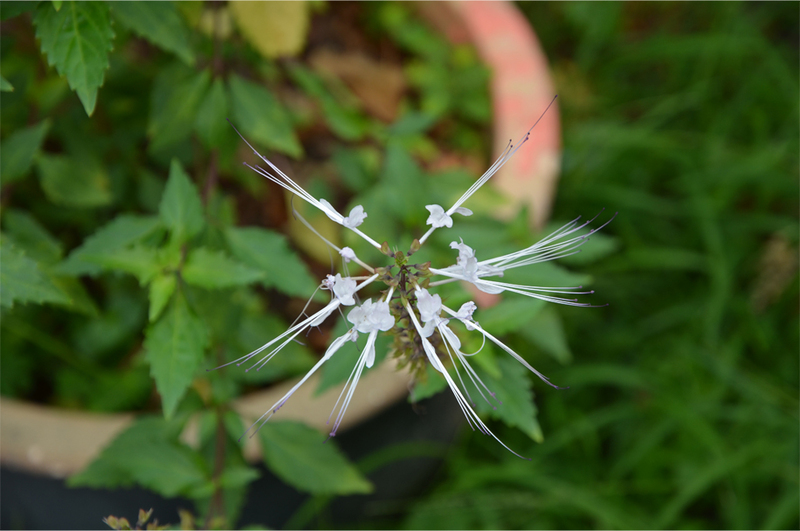 Do you happen to know the name of it? What a fun learning experience! That was news to me too! I used to have this arbitrary notion that melons were generally bigger and had more water content compared to gourds. 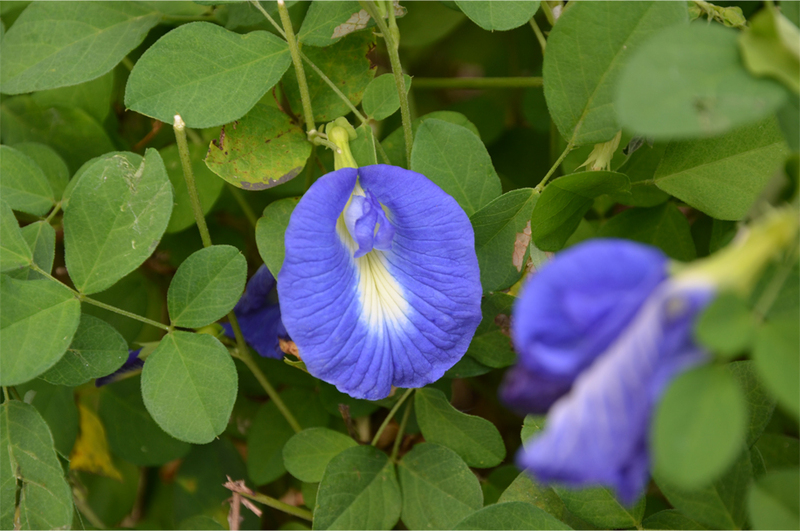 As for the blue flower, I didn’t know the name at the time, but after some googling I’ve discovered it is the butterfly pea or blue pea. Thanks so much, Randall. Duck is also one of Bama’s favourites so he was very happy to have it on the menu. 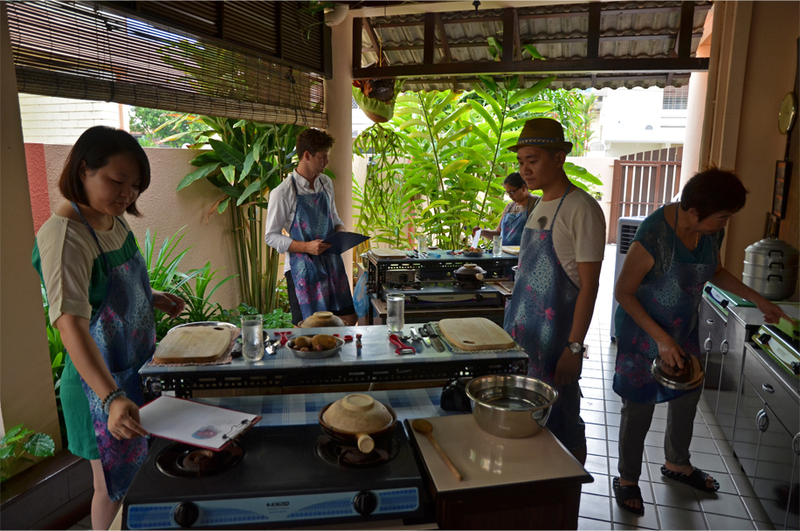 🙂 You can learn a lot about any culture from the food they eat – after enjoying a similar experience in Bali, I couldn’t have left Penang without doing a class like this! Agree, nothing quite like sitting down for an authentic environment (food, people, ambiance) and not only eat our fill but learn and love as well. Wow, this post is heaven! Nutmeg juice?!? Fascinating from start to finish. Thanks James! You’re welcome, Kelly! The nutmeg juice (poured over ice) was the perfect accompaniment to this meal. Echoing Kelly’s sentiments! Thank you for this sumptuous introduction to Nonya cuisine James. It seems very much like Indian, but with more exotic ingredients. Kerabu Kay looks as exquisite as you make it sound. PS: The blue flower is the Butterfly Pea. It’s my pleasure, Madhu! I think you would excel at this class, and I am sure you would be much better at multitasking between cooking and taking photos. Penang was the first time I came across those beautiful bulbs of torch ginger – I do have a picture of them at the market but it turned out blurry. PS Thanks for the tip! I’ll put that into the caption. James, very cool post again. Lovely colors in the photos. Lovely food, and shots of the food. Even the burned pot. I have a soft spot in my heart for Penang…I spent two months there long ago, doing just about nothing but wandering the streets. You’ve brought back great memories of me traveling with a typewriter!! Thank you so much, Badfish. And wow, you travelled with a typewriter?! That shows real commitment to your writing! Looks like I’ll have to stop complaining about lugging around a heavy laptop – it must still be lighter than the load you had to deal with. It was a light-weight typewriter, but still…yeah, not a Mac Air. Yummy post. Nutmeg juice is new to me. What does that actually taste iike? Anything special about cat whiskers for cooking? We’ve only cooked duck breast once at home. And it was my partner who dealt with it. 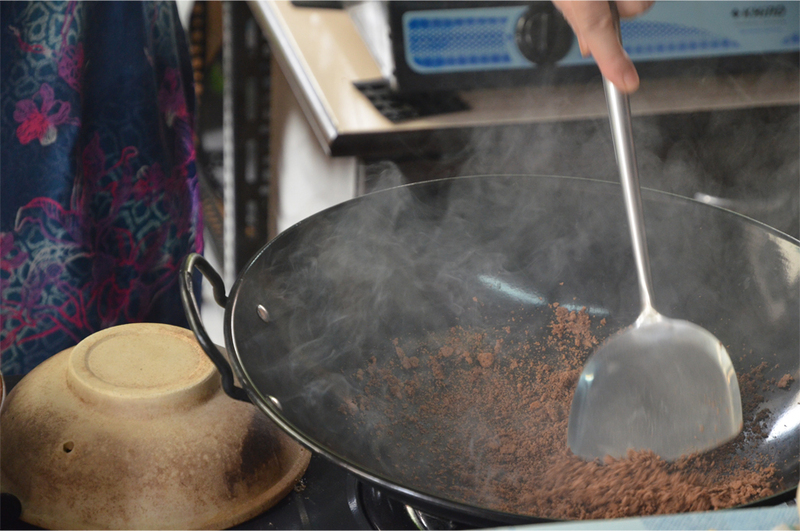 Hope takeways from the cooking course, add more spice and verve to home dishes. Ok, I’ll remember — it’s bitter gourd. By the way, scientists are looking into the natural ingredient for..real medicine. This was the first time I had nutmeg juice – it tastes slightly sour, but it’s well-balanced with a subtle sweetness and a tangy flavour from the spice. I don’t remember if it’s possible to cook from the cat whiskers, though you can brew a bitter medicinal tea from its leaves. I also had my first taste of Nyonya food in Singapore, and I remember ayam buah keluak being one of the most interesting dishes. I have heard of The Blue Ginger but I didn’t go there that time. 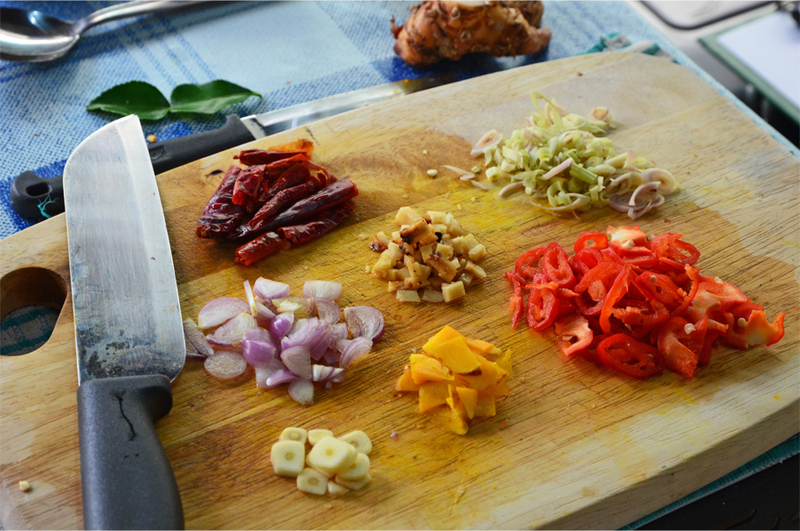 Since then I have tried Nyonya food in Malacca and Penang (both taste different from that in Singapore), and I would really recommend taking a cooking class in Malaysia because of the availability of all the ingredients. My favourite Nyonya food comes from Penang – I love the influence of flavours from Thailand and it is miles better than what I tried in Singapore. I will have perhaps the chance to visit Malaysia again for the good tastes. I’ll keep your advice. My only visit back in 2012 was to Pulau Perhentian for diving and the food was quite….how to say…. tasteless! 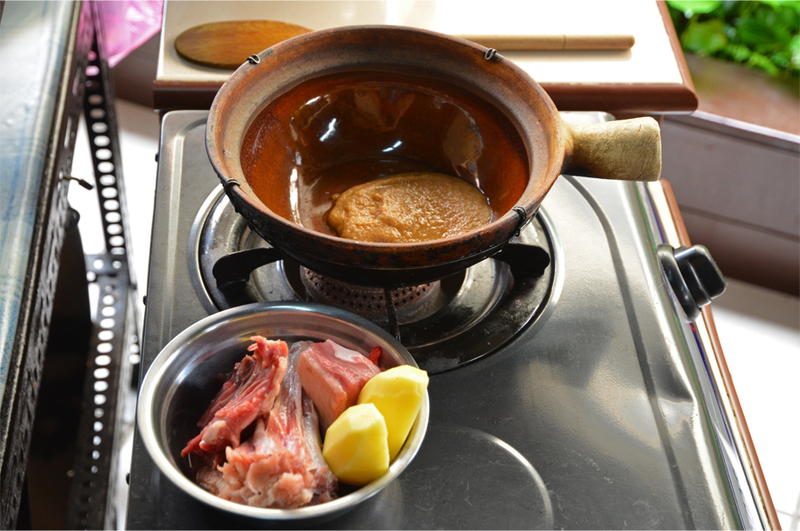 It’s a unique opportunity to learn from a local how to cook their food!